XTads pre-beta 10 is out – XTads etc. 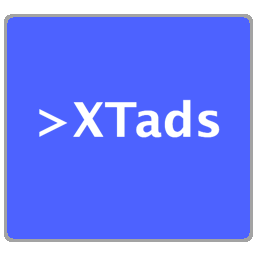 XTads is a TADS 2/3 interpreter for macOS (version 10.12 Sierra or higher). It’s a GUI application, with native macOS look and feel. Game output is text-only, with limited/simplistic support for HTML. The “Open for Testing” dialog now lets you start a game from the position in a save file (T3 only). Logging, which gives you a way to observe how XTads operates internally, how it interacts with macOS and the TADS VMs, and (to a lesser degree) how games (mis)behave. While logging is mainly useful for working on XTads itself, game developers should also benefit from it. For more details, see Game development features. NB! XTads now requires macOS 10.12 Sierra or higher. XTads is ever a work in progress. Bug reports and suggestions are more than welcome – see contact info in the program’s About panel. XTads etc. Powered by WordPress.com.